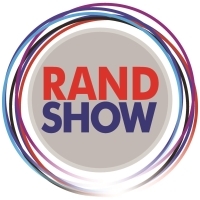 For more than a century, the renowned Rand Easter Show has drawn the Johannesburg crowds every year during the Easter break. It started as an agricultural show but has grown in popularity, size, and scope to become South Africa's largest consumer exhibition, along with an entertainment extravaganza that is eagerly awaited each year. Exhibitions cover a range of categories, offering entertaining stalls and shopping specials, while a varied live entertainment programme keeps show-goers buzzing until late each night. Exhibition categories include a Kids Expo, Sports Expo, Showcase SA, Lifestyle Expo, and Into the Future. The vast entertainment programme includes a diverse array of attractions, including things like show-jumping, working dog displays, and, in keeping with its agricultural origins, livestock judging. This is in addition to live music concerts, circus performances, snake shows, fireworks displays, parades, and stunt shows. To see the full programme check the official website. Venue: The Nasrec Expo Centre at the corner of Randshow and Nasrec Roads.